Okay. Here's the plan, here's my scheme. You ready for this? Anime writeups are coming back. January 12th, 2019. That's a Saturday. 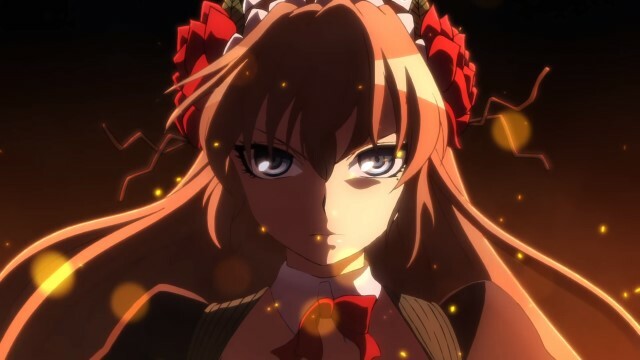 That night, I will begin (and hopefully finish) the writeup for Episode 01 of Magical Girl Spec Ops Asuka. It's been over three years since my writeup for Gakkou Gurashi died a miserable death. I do believe I'm a little out of practice, so I intend to do a little sumtin' sumtin' this weekend... y'know, get the juices flowin', stretch out the ol' arm, see if the old man has still got it in him. Maybe it might even be good. Who knows? Look forward to it, won't you? 1 AW YEAH bring on twenty nineteen! Also, honestly, probably better you than me watching that one. It's too much a mix of "thing I really like" and "thing I don't care for at all" for me to properly enjoy, I suspect. 23kb generated in CPU 0.04, elapsed 0.1841 seconds. 49 queries taking 0.1608 seconds, 246 records returned.